Players take turns rolling two dice and whoever is throwing the dice is called the "shooter". 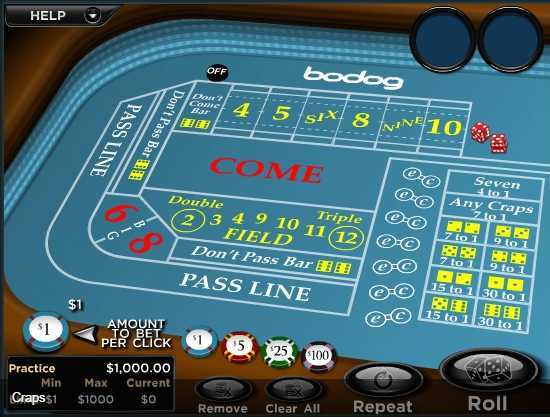 Players can bet on the various options by placing chips in the appropriate sections of the board. 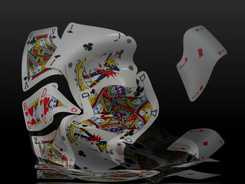 It may be required to ask the dealer to place certain bets.While acting as the shooter, a player must have abet on the "Pass" line or the "Don't Pass" line. Pass and don’t pass are sometimes called "Win" and"Don’t Win" or "Right" and "Wrong" bets. 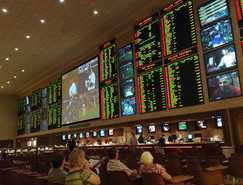 The game is played in rounds and these "Pass" and "Don't Pass" bets are betting on the outcome of a round. The shooter is often replaced at the end of the round or when they lose a round with a seven. The dice are moved clockwise around the table for the next player to become shooter. The shooter is presented with multiple dice (typically five) by the "stickman", and must choose two for the round. The remaining dice are returned to the stickman's bowl and are not used.Each round has two phases: "come-out" and "point". To start a round, the shooter makes one or more "come-out" rolls. 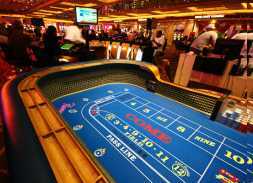 A come-out roll of 2, 3 or 12 is called "craps" or "crapping out", and anyone betting the Pass line loses. A come-out roll of 7 or 11 is a "natural", and the Pass line wins. The other possible numbers are the point numbers: 4, 5, 6,8, 9, and 10. If the shooter rolls one of these numbers on the come-out roll, this establishes the "point" - to "pass" or "win", the point number must be rolled again before a seven. The dealer flips a button to the "On" side and moves it to the point number signifying the second phase of the round. If the shooter "hits" the point value again (any value of the dice that sum to the point will do; the shooter doesn't have to exactly repeat the value combination of the come-out roll) before rolling a seven, the Pass line wins and a new round starts, usually with the dice staying with the current shooter. If the shooter rolls any seven before repeating the point number (a "seven-out"), the Pass line loses and the dice pass to a new shooter for the next round. In all the above scenarios, whenever the Pass line wins, the Don't Pass line loses, and vice versa.